Anthony V. Benedetto, D.O earned his medical degree in osteopathic medicine from the Philadelphia College of Osteopathic Medicine. He completed a rotating internship, a residency in dermatology, and a fellowship in Mohs micrographic surgery and cutaneous oncology, all at the Cleveland Clinic in Cleveland, Ohio. He is board-certified in dermatology, dermatologic cosmetic surgery, and Mohs surgery and cutaneous oncology. Doctor Benedetto is currently Clinical Associate Professor of Dermatology, University of Pennsylvania School of Medicine, Philadelphia. He is also Section Chief of Dermatology at Mercy Fitzgerald Medical Center in Darby, Pennsylvania and serves as an active attending staff physician at several local hospitals. He has been the director of a fellowship training in Mohs Surgery since 1990, which is currently approved for Procedural Dermatology training, accredited by the Accreditation Council for Graduate Medical Education. Doctor Benedetto is the founder and medical director of the Dermatologic SurgiCenter in Philadelphia, PA and in Drexel Hill, PA, where he practices Mohs Surgery and Cosmetic Dermatologic Surgery. Doctor Benedetto holds memberships in several national and international professional organizations, including the American Dermatological Association, the American Society for Dermatologic Surgery, the American College of Mohs Surgery, the International Society of Dermatology, the International Society for Dermatologic Surgery, the International Academy of Cosmetic Dermatology, the Women’s Dermatologic Association, the North American Clinical Dermatologic Society, the History of Dermatology Society, the American Academy of Facial Plastic and Reconstructive Surgery, and the American Academy of Cosmetic Surgery. 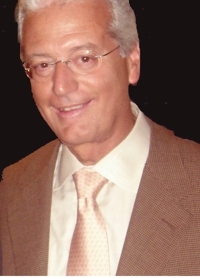 In addition, he holds committee positions in various national and international dermatologic societies and is currently the North American Vice President of the International Academy of Cosmetic Dermatology, Secretary/Treasurer of the History of Dermatology Society, and Scientific Program Director of the North American Clinical Dermatologic Society. He is also a member of the Education and Volunteers Abroad Committee and the Ad Hoc Task Force Election Oversight Committee of the American Academy of Dermatology and on the Editorial Board of SkinMed, the Journal of Cosmetic Dermatology, and the Journal of Cutaneous Surgery, which is published by the Association of Cutaneous Surgery of India, for which he is the international editor for this journal.